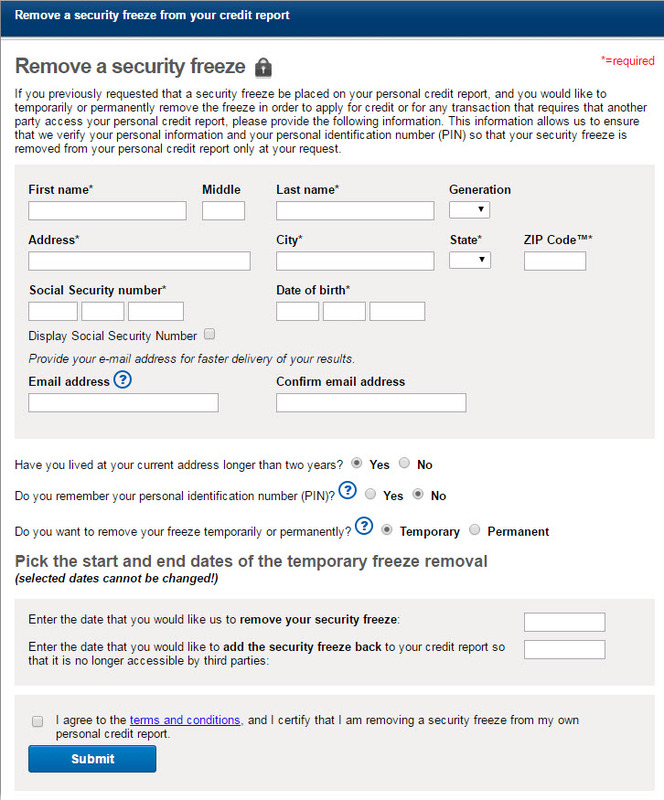 How can I remove a Credit Security Freeze with Experian? 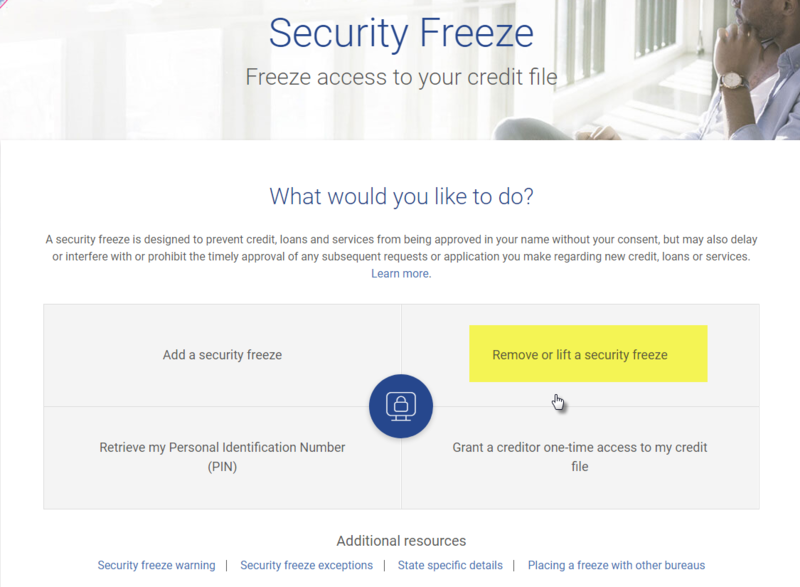 You can manage your Security Freeze on Experian’s website at https://www.experian.com/freeze/center.html. Check the box that says “Remove or Lift Security Freeze” and then click “Continue”. Next, fill out the form to make the removal request. You can request a permanent removal or a temporary removal. 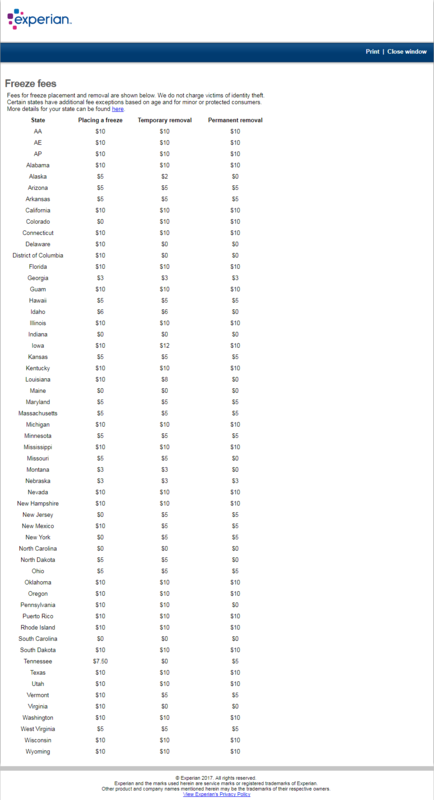 There may be a small fee ranging from $5-$10 depending on which state you reside in. See the table below to view the fees. In order to remove the Security Freeze you will need to enter your PIN number. The pin number was issued at the time you placed the freeze on your credit file. If you have forgotten your PIN number you may be able to answer some security questions to access it. If you fail the questions your PIN number will be sent to you in the mail. Rent Perfect does not have the ability to remove or lift your Security Freeze. If you have further questions or need assistance you can call Experian regarding a Security Freeze at 1-888-397-3742. If you are a tenant who is trying to order credit, once your Security Freeze is lifted or removed you can sign back into your application and try submitting again to complete your credit order. If you still get back an error message for a Security Freeze you will need to wait longer and try again. If you are a landlord who is trying to sign in and activate your account you can try again at anytime after that Security Freeze is lifted or removed. Keep in mind you will be required to do the online identity verification every 90 days, so if you only had the freeze temporarily removed you will be required to do this process again. IMPORTANT: A Fraud Alert Victim Statement is very different than a Security Freeze. Click here to manage a Fraud Alert on Experian’s website. Both a Security Freeze and a Fraud Victim Statement will prevent you from ordering a credit report or activating a new Connect account at www.iscscreening.com. These MUST be removed or lifted before you can order credit or activate an account. a law enforcement agency or the Department of Motor Vehicles, the fee will be waived for adding the freeze.